HP, it seems, will always be a printer company. It’s an inescapable part of the company’s DNA. Precisely what shape that takes moving ahead, however, is another question entirely. After all, printers and ink cartridges aren’t flying off the shelf like they once were, which means the company has to get creative. Sometimes that manifests itself in interesting ways, as is the case with the company’s 3D printing products, and, sometimes, as with the recent addition of DRM to its desktop printers, things are a bit less cheery. The Sprocket, on the other hand, is what happens when a serious company tries something fun — and HP pulls it off fairly well, with pretty low stakes on the pricing front. 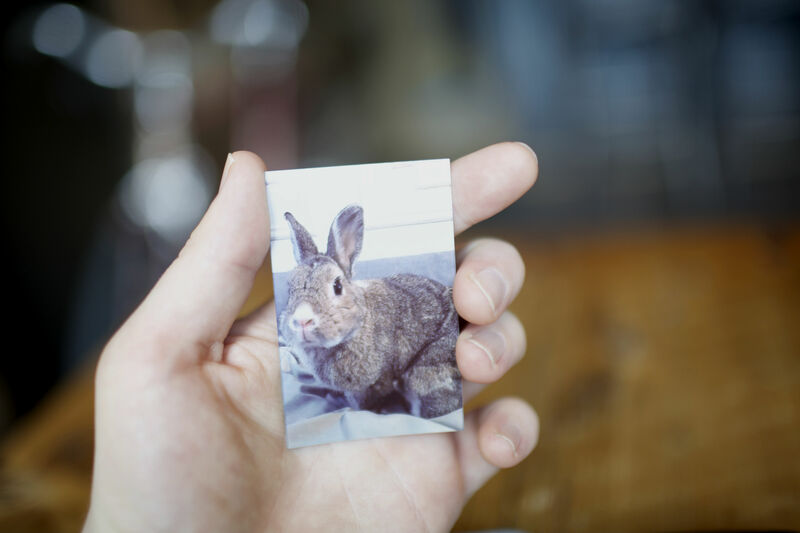 The photo printer runs $129, which is $70 less than the new Fujifilm Instax Share SP-2, and honestly, probably about as much as casual users will want to pay to print out smartphone photos on 2 x 3 paper. HP’s definitely got the ease of use portion down. Connect your smartphone via Bluetooth and it will automatically prompt you to download the Sprocket app. From there it’s just a matter of connecting to your camera roll and various social media accounts (Instagram, Facebook and Flickr to start). 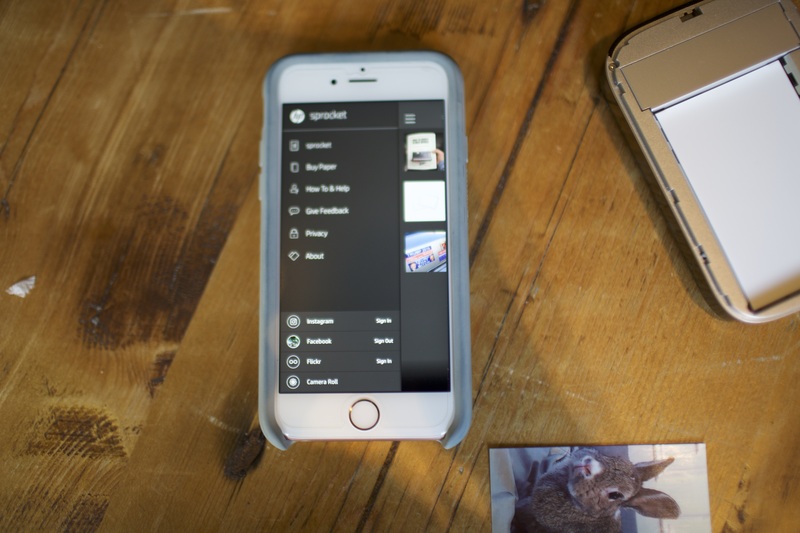 Tap into a photo, hit the print icon and the smartphone-sized Sprocket goes to work, spitting out a print in around half-a-minute, with a light buzz that lets you know it’s working. The printer uses ZINK (Zero Ink), a technology that’s been kicking around for a few years now, which relies on heat-activated dye color crystals in the paper. That means the system doesn’t require ink cartridges, which is a big part of the reason the printer is small enough to fit in the palm of your hand. It also means that the prints aren’t the most vibrant or sharp you’ll see, but they get the job done. The company’s also baked a little fun into the app with editing tools that include a series of filters, text overlays, doodles and frames. It’s a pretty basic set of tools, but it’s a nice little extra that HP will likely build out if the printer proves a success. 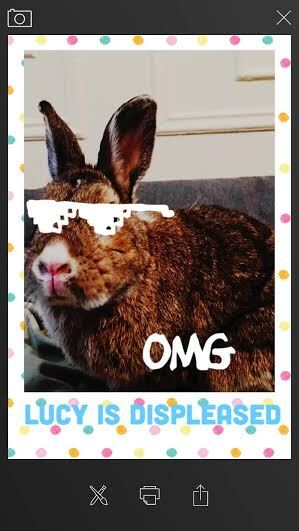 It’s also a pretty good way to print out gratuitous bunny photos, if you’re in the market for such a thing.